﻿ Gypsum Powder Manufacturer & Supplier in Mumbai, Vapi India | Unite is recognized as a Prominent Manufacturer, Supplier and Trader of gypsum powder, pure gypsum powder, natural gypsum powder, white gypsum powder, gypsum plaster, gypsum board from mumbai.Firstunite provides false ceiling, gypsum board, drywalls, plasters, unite false ceiling solutions, unite gypsum board, unite india, gypsum manufacturers in,gypsum ceilings, plastering in mumbai, Maharashtra,India | Sankhla brothers.We also provide Gypsum powder supplier India,pure gypsum powder manufacturer,pure gypsum powder supplier,gypsum powder,pure gypsum powder,natural gypsum powder, white gypsum powder from Maharashtra,India. Gypsum Powder Supplier in Mumbai,Pure Gypsum Powder Manufacturer,Traders. Pioneering the business with supply of raw materials for manufacturing of gypsum, Firstunite has evolved a manufacture of the Gypsum powder. The manufacturing began as early as 1972 in the name of Sankhla Brothers. As years past, the Sankhla Brothers found it feasible for them to form a new company to manufacture finished product whose base product was their mastery. This is how Firstunite was born which solely manufactured gypsum powder. The manufacturing facility of Firstunite is located in Vapi with fully automated equipments for manufacturing superior quality of Gypsum. The backward integration helps to obtain superior and similar quality of finished product. We also have in-house quality check centre. This enables us to maintain the quality of our product. Mission : As a gypsum manufacturer, we aspire to be one of the leading companies in the industry by fulfilling customer requirements. Vision : We aim to be the brand which every end user would like to use in their homes while construction. 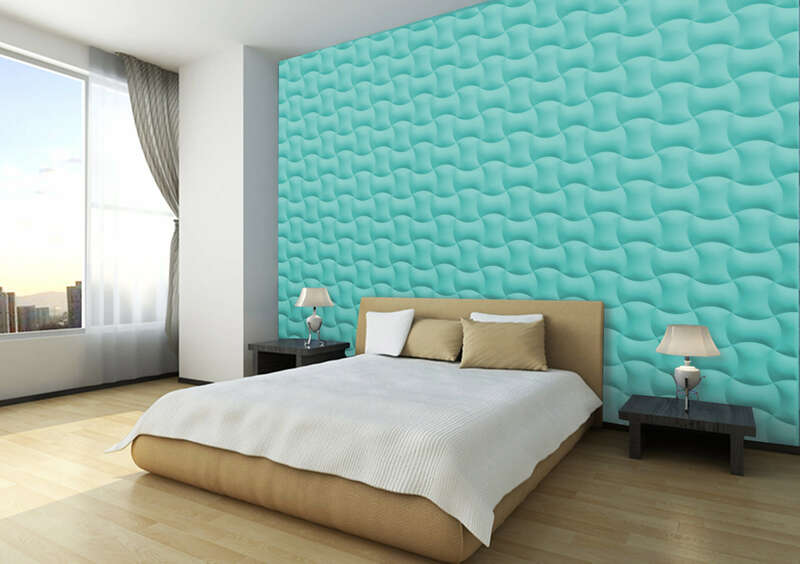 We make product which gives life to tired walls and refurbish them to give a royal and exquisite look. 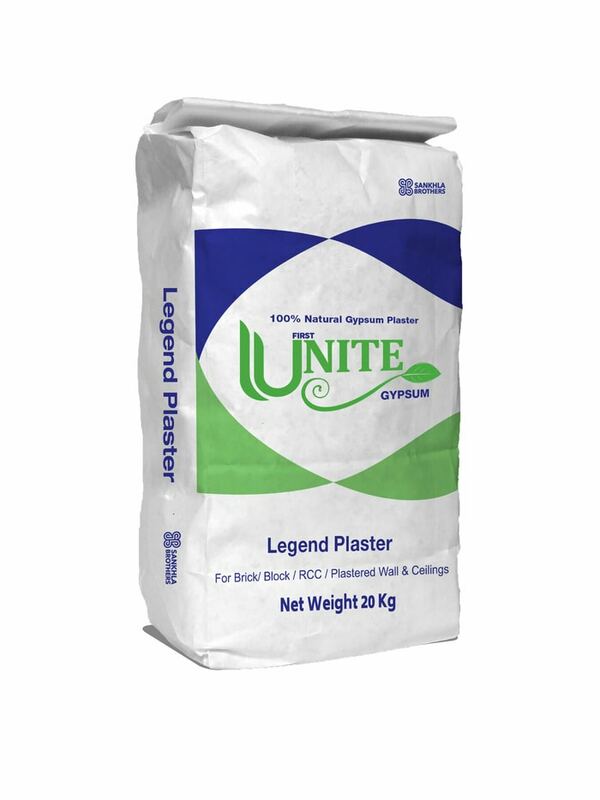 It is viable to use Gypsum Powder instead of conventional plaster or local POP due to the extra benefits and certain properties it exhibits. As the texture is smooth, it becomes easier for the applicator to use and enhance his performance. Also there is a lot of time saving as the work is done faster. End result being smooth finish with quality assurance. One more thing that needs to highlight is that gypsum powder requires negligible amount of water curing and low shrinkage cracks. 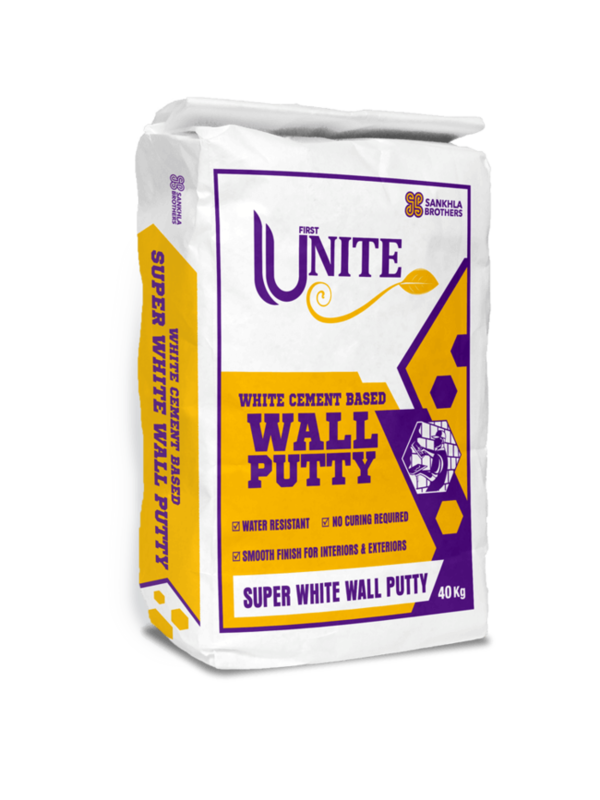 Sankhla Brothers is the Parent company of Firstunite. Sankhla Brothers was established in the year 1971 to cater to demand for minerals by various industries. We are amongst the oldest and leading grinders and manufacturers of limestone, hydrate lime, micro dolomite, calcium carbonate, bentonite powder and many more. Our company remains confident of exploring the growth opportunities and taking up the challenges on its way to establishing global footprint. At our manufacturing facility in Vapi, we have the capacity to handle and store minerals of about 6,000 – 7,000 metric tons on monthly basis. We are well equipped with modern Equipment. We are into this industry for more than three decades. Our main objective is client satisfaction. We strive to fulfill all the requirements of our clients within the stipulated time period without compromising on the quality of the product. P.O Box No. 351, IInd Phase, GIDC Vapi, Gujarat - 396195, India. Address : P.O Box No. 351, IInd Phase, GIDC Vapi, Gujarat - 396195, India.